Saban Entertainment, Renaissance-Atlantic Films, Sharpmist, Ltd.
By 1998, Power Rangers wasn’t as popular as it once was. Saban Entertainment was considering ending the franchise with the latest installment, Power Rangers in Space. That meant they needed a new franchise to fill the airwaves. Deciding to take their five years of experience adapting Super Sentai for American audiences, they chose to create a completely original show done in a similar style. 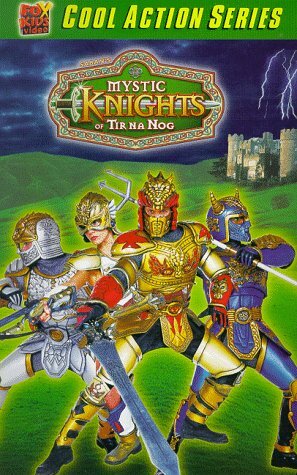 Mystic Knights of Tir Na Nog was set in a fantasy version of ancient Ireland. Queen Maeve (Charlotte Bradley), ruler of the land of Temra, sought to conquer the peaceful kingdom of Kells, believing it to be her birthright to rule. To achieve this goal, she allied herself with the evil fairy Mider (Ned Dennehy). He gave her a mystical Rune Stone that allowed her to use sorcery to create various ogres and giants to aid in her troops’ attacks. Leading those troops was Torc (Gerry O’Brien), a former general of Kells. Maeve also employed Bogies, little people who served as her spies, and her half-demon son, Lugad (Eric O’Cuinn). 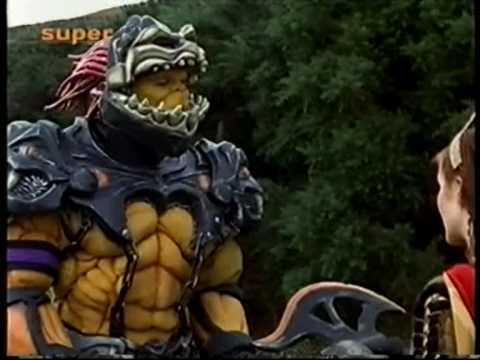 Unlike the other tokusatsu (Japanese action shows with heavy special effects usage) Saban adapted that repurposed existing costumes, this series utilized a combination of costumes and primitive CGI for their monsters. The Knights: Rohan, Deirdre, Angus and Ivar. 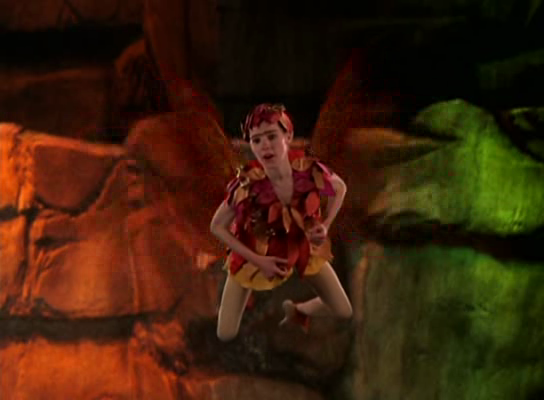 Aiding the knights was Aideen (Kelly Campbell), a sprite from Tir Na Nog. She had developed an attraction to Rohan which often led her to be jealous of Deirdre. A fifth knight eventually joined in the team in the form of Prince Garrett (Ben Palmer), a formerly arrogant ruler from a distant land originally promised Deirdre’s hand in marriage to form an alliance. He would become the Mystic Knight of Forest. He wielded Twin Timber Axes that projected an energy beam and transformed with the phrase “Forest before me!” Even before he was a Knight, Garrett displayed the ability to command any animal whom he locked gazes with. CGI monsters coming at ya! 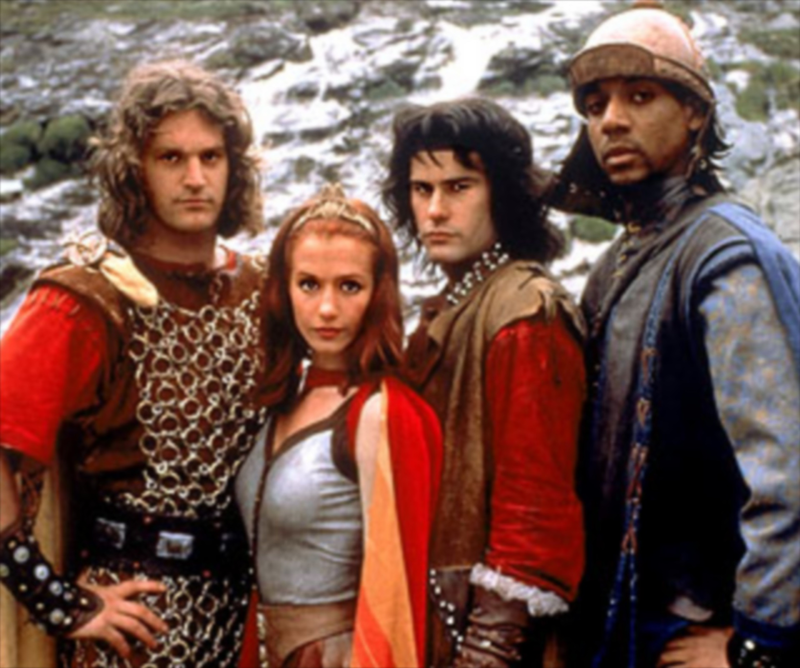 Mystic Knights of Tir Na Nog debuted on FOX on September 12, 1998. It aired as part of the Fox Kids programming block from Tuesday through Saturday. The series was pitched by producer Robert Hughes, using Fox Kids’ development of Young Hercules as a springboard to fulfill a long-standing desire by Saban to get something similar on the air. It was the first American television show to be filmed entirely in Ireland and borrowed heavily from Irish lore; particularly from the Ulster Cycle where several of the characters in the show originated. The titular Tir Na Nog was a supernatural realm of everlasting beauty, youth, health, abundance and joy. The series was written by Joel M. Barkow, Margo McCahon, Dan W. Davis, Bob Allen, Robert L. Baird, Harry Caul, Maggie Hayes, Heather McCahon, Mark O’Brian, John Fingal O’Donnell, Richard Preston Jr., Kelly Senecal, Lyle Weldon and Louis J. Zivot, with Shuki Levy, Haim Saban (as Kussa Mahchi) and Inon Zur providing the music. While the show gave focus to each of its characters, the majority of it was spent on Rohan. Over the course of the series, it was revealed that Rohan was, in fact, the legendary hero Draganta as well as the son of Maeve. Rohan also used this to turn Lugad against Maeve. Nemain (Sharon Hogan), the former ruler of Temra until Maeve deposed her, was revealed to have also been working against Maeve by aiding the Knights in the guise of an old man. The series ended with Nemain and Mider forming an alliance following Maeve’s defeat. Unfortunately, that potential plotline ended up going nowhere as the show was ended after its sole season. 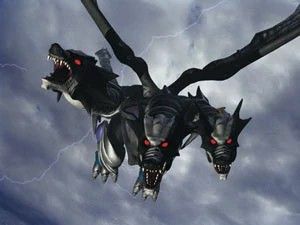 While a second season, titled Battle Thunder, was planned, the unexpected success of Power Rangers in Space caused Saban to shift its focus back onto the franchise. They took the budget meant for the second season and put it towards the next Power Rangers entry, Lost Galaxy, and for promotion for their next anime dub, Digimon: Digital Monsters. Action figures were produced by Bandai, who also held the Power Rangers license. Bandai often pushed for the show to be more toyetic to allow them more to produce in the line, but the production pushed back in order to not compromise the relatively serious tone the series was taking. Bandai took their own liberties anyway, incorporating additional weaponry and vehicles not used on the show. McDonald’s featured eight toys based on the show in their Happy Meals in 1999. Each Knight had a shield that performed a different action, while Maeve, Torc, Mider and Lugad came with pieces to build a bonus toy dragon. Franco American produced a canned pasta featuring the shapes of Angus’ shield, Deirdre’s castle, a dragon’s head, Ivar’s helmet and Rohan’s sword. Between 1999 and 2000, Harper-Collins published five books adapting episodes of the show. Only one VHS was released by 20th Century Fox in both the United States and the United Kingdom. Four episodes were released across two DVDs in Germany, but don’t include the original English audio. “Legend of the Ancient Scroll” (9/12/98) – When Maeve begins to send monsters to attack Kells, Rohan and Angus head off in search of an ancient hero to defend the realm. “Tir Na Nog” (9/16/98) – Rohan, Angus, Deirdre and Ivar are put through a series of tests by King Fin Varra to determine their worthiness to possess elemental weapons. “The Fire Dragon of Dare” (9/17/98) – The Knights have to obtain their armor before they can even hope to tame Pyre the fire dragon. “Trash Hound of Temra” (9/18/98) – Temra faces the Lightning Bat for her armor while Maeve tricks Rohan into thinking she wants peace. “Ivar and the Sea Serpent” (9/19/98) – Ivar battles the Sea Serpent for his armor. “The Wolf in the Rocks” (9/23/98) – Maeve has Angus kidnapped to keep him from facing the Rock Wolf. “The Taming of Pyre Pt. 1” (9/24/98) – The Knights try again to tame Pyre. “The Taming of Pyre Pt. 2” (9/25/98) – The Knights succeed in getting Pyre on their side. “Draganta” (9/26/98) – Pyre reveals Rohan is Dragenta while Maeve casts a spell to make the Knights fight each other. “War of the Little People” (9/30/98) – Mider convinces the Knights to give up their weapons, allowing him to conquer Tir Na Nog. “Dragon’s Fury” (10/1/98) – The Knights have to fight Pyre after Maeve gains control of him. “Tyrune” (10/2/98) – Rohan is tricked into bringing the ancient dragon Tyrune to life. “Tyrune Returns” (10/3/98) – The Knights need Pyre if they hope to defeat Tyrune. “Aideen and the Stone Princess” (10/6/98) – Aideen accidentally turns Deirdre to stone with a potion that was supposed to boost her strength. “Battle of the Druids” (10/9/98) – Cathbad’s former teacher seems to be replacing him in the king’s favor, but it turns out he’s up to something sinister. “Queen Deirdre” (10/17/98) – Deirdre is forced to rule while her father is sick, and her worry over making a mistake leads her to making a fool’s wager with Maeve. “Night of the Spirits” (10/31/98) – Maeve sends ghosts to attack Kells on their holiday. “Aideen’s Choice” (11/5/98) – Maeve gives Aideen a spell to make her human so that she can pursue Rohan, but is forced to choose between her new form and rescuing Deirdre. “Divide & Conquer” (11/6/98) – Maeve plots to trick Ivar into going home and putting Kells under a sleep spell. “Eye of the Beholder” (11/7/98) – Deirdre is changed into a hag after drinking magic water, and when she goes to Fin Varra for help he finds her new form appealing enough to make her his. “Garrett and the Princess” (11/11/98) – For an alliance, Conchobar agrees to allow his daughter to marry Prince Garrett. “The Traitor of Kells” (11/12/98) – Maeve turns Garrett into one of her minions, and he defeats and disarms the Knights. “The Fifth Knight” (11/13/98) – After learning Garrett’s importance to Kells, the Knights free him from Maeve’s control. “The Mystic Knight of Forest” (11/14/98) – Garrett has to become the next Mystic Knight, but to do so he must overcome his arrogance. “Egg of the Dragon” (11/17/98) – The Knights try to keep a dragon egg secret from Maeve while Angus falls back in with some old thief friends of his. “The Drageen” (11/19/98) – The egg hatches and the baby dragon is sought after by both the Knights and Maeve. “A King’s Ransom” (11/20/98) – The Knights join with Maeve to fend off a new threat to Kells. “The Curse of Kells” (1/30/99) – Ivar learns how Angus and Rohan met. “The Trial of Angus” (2/4/99) – Angus is framed for robbing villagers and destroying property, and the Knights work on proving his innocence. “Mider: King of Temra” (2/5/99) – Mider tricks Cathbad into making him human-sized, allowing him to overthrow Maeve. “The Buckler of Bre” (2/6/99) – Torc steals a weapon from Tir Na Nog that makes him more than a match for the Knights. “Ivar’s Revenge” (2/8/99) – Ivar attempts to reclaim his chalice from Torc and bring it home. “King’s Bride” (2/9/99) – Deirdre is suspicious of a new woman that has caught the king’s fancy. “All Kings Great and Small” (2/10/99) – Conchobar and Fin Varra must trade kingdoms for a day to stop a magic storm. “The Wish” (2/11/99) – When Angus is offered a wish for rescuing a wood elf, the other Knights try to pressure him to use it for them. “The Lost King” (2/12/99) – Maeve kidnaps Fin Varra in order to steal his powers. “Friends for Life” (2/13/99) – Angus grows jealous of Rohan and has a falling out with him. “The Prisoner Prince” (2/20/99) – The Knights must protect a bratty visiting prince. “Shipwrecked” (2/24/99) – Garrett fancies an amnesiac princess found by Fin Varra whose arrival coincides with the latest monster attack. “Rohan’s Doubt” (2/26/99) – Maeve casts a spell of doubt on Rohan that weakens his effectiveness in battle. “The Barrow of Balin” (3/2/99) – Maeve resurrects Rohan’s idol, Balin, and sets him on Kells. “Dark Rider” (4/23/99) – Maeve awakens an ancient warrior who uses magic to take over the minds of the soldiers and the Knights. “The Warrior of Temra” (4/26/99) – Maeve unleashes her secret weapon as she stands to lose the war. “Battle Fury” (4/27/99) – Rohan takes a dangerous test for new armor as Lugad seems to turn the tide of the war for Temra. “Lugad’s Challenge” (4/28/99) – Rohan faces off against Lugad and gets more than he bargained for. “The Mark of Destiny” (4/29/99) – Rohan tries to use what he learned to turn Lugad. 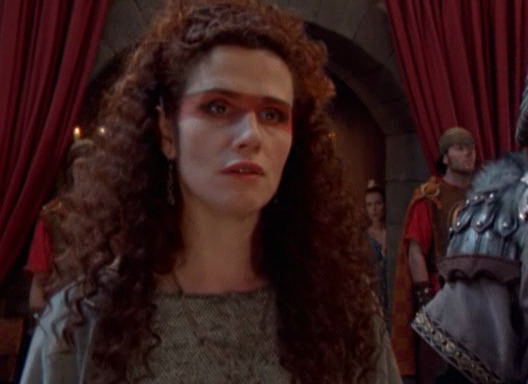 “The Queen Mother” (4/30/99) – Maeve captures Rohan and learns she is his mother. “Knight in the Forest” (5/5/99) – Rohan contemplates leaving Kells, but decides to stay and fight when Garrett returns. “The Final Battle” (5/6/99) – The inhabitants are forced to retreat from the castle with Maeve’s latest attack. “Banished” (5/7/99) – Rohan has to embrace his destiny in order to finally defeat Maeve. Labels: 1990s, FOX, Fox Kids, live, Mystic Knights of Tir Na Nog, Renaissance Atlantic Entertainment, Saban Entertainment, Sharpmist Ltd.